The city of Southampton earned much of its original fame for its port, becoming forever steeped in history as the place that the ill-fated Titanic left for its voyage across the Atlantic. Nowadays though, you can enjoy the stiff sea breeze alongside Southampton’s other delights, which are numerous. Despite the prominence of the University Southampton is not a student town and can indeed by enjoyed by the discerning gentleman. Of course there’s the football team but if you’re looking for some more upmarket evening activity the Mayflower Theatre tops Trip Advisor’s list of things to do, followed not far behind by The Brook – a live music venue. 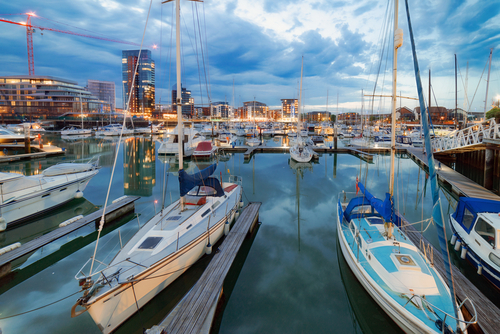 Museums, boat tours and parks are also worth a visit in addition to Southampton’s various bars and restaurants. The best thing about Southampton by far though, is our beautiful escorts – the most stunning in the South. Our ladies are professional, gorgeous and guaranteed to delight. Take a look at our ladies page here. Available to accompany you in the Southampton area, we have a number of beautiful escorts. Head on over to our ladies page here to see photos. Contact us to learn more and make a booking.